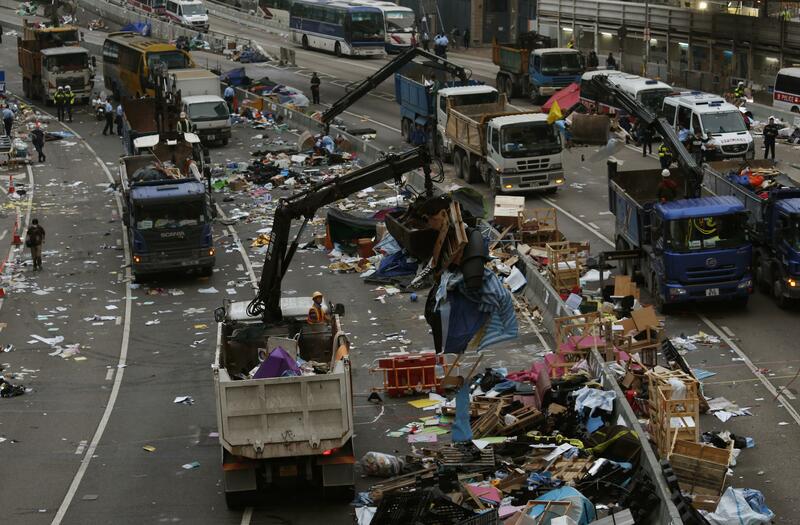 The remains of a protest site outside government headquarters in Hong Kong. For 11 weeks, the street camp in the Admiralty district near the city government offices was an impassioned forum for public discontent, drawing in tens of thousands of people at its peak. But after the police received orders to clear the site, the end came swiftly. On Thursday morning, officers cleared a patch of the camp, and in the afternoon they massed, encircling the rest of the site and warning people to leave. The “Occupy Central” protesters (“Central” is the name of Hong Kong’s business district) are demanding that candidates for the city’s 2017 chief executive election be nominated through a public process. But authorities have not budged from the plan, announced in August, to require that candidates be nominated by an elite committee. 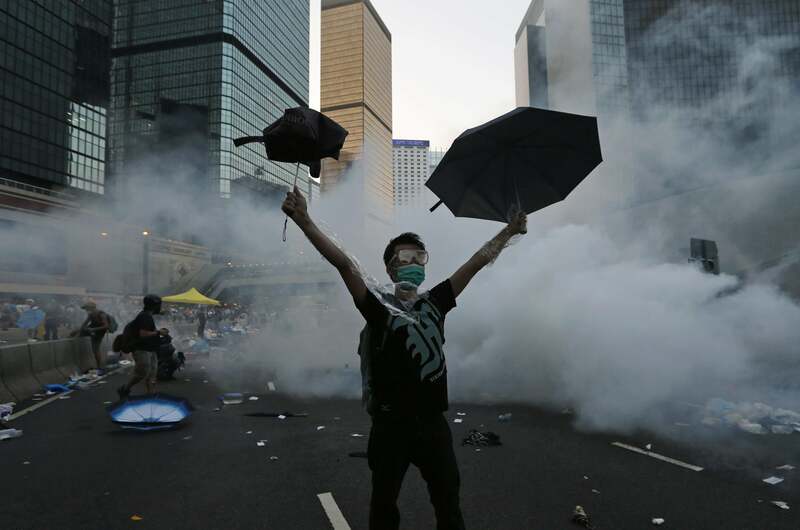 The protests have become known as the Umbrella Movement, named for the umbrellas used by occupiers to protect themselves from both weather and tear gas.